Then I Got To Thinking...: Happy Graduation! As many of you have read before or know already, I have a very large family. We all were born and raised in the same small town. My dad has 6 brothers - and we are so fortunate to have my grandma & grandpa with us still to witness all of the fabulous things happening in the "cousins" lives. 3 of my cousins graduated from High School this year. 2 from my dad's side, and 1 from my mom's side! On Saturday, our family (& many of their friends) gathered together to celebrate! 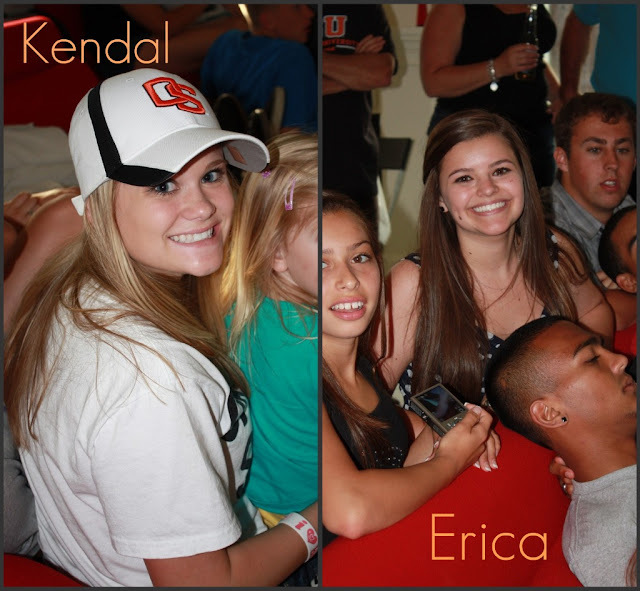 Kendal is going to Oregon State University & Erica to Johns Hopkins University! I'm the oldest of 5, big families are the best!! my family is also that size.... it is so fun to get together with all of them. This totally puts a huge smile on my face! I love love love huge families! Seeing as I have one as well but nothing close to what you have! So amazing though to have that many loved ones! Your one lucky girl!! how wonderful you have such a big family! that such a blessing. Hope your having a good week. Big families are the best!! Congrats to the ladies in your family! So fun! I have a really close big family as well & it's so fun! I always wanted to come from a huge family. 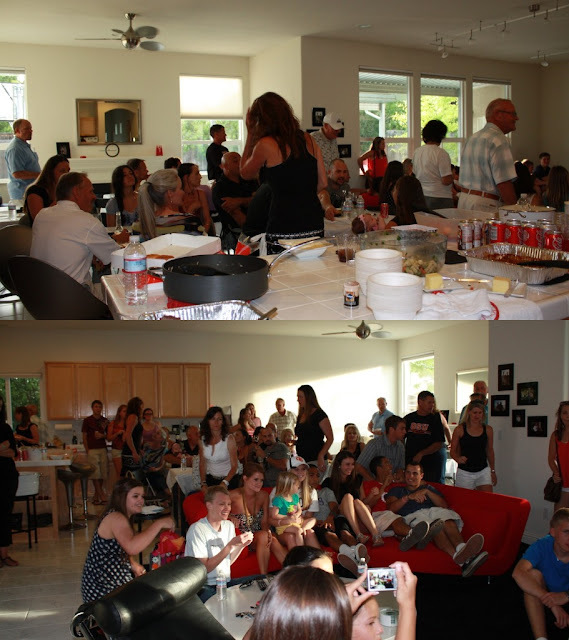 The get togethers always looked like so much fun!! So fun.. I love big families! Great pics! I have a big family too and love it when we can all get together! Kendal looks like Reese Witherspoon! Wow, that's a large group! We have a big family too but it's really hard to get everyone together in one place!! I wish my family was bigger. :) But I love when we're all together. Nothing better! Looks like a great weekend!! Thanks for sharing your photos! WOW! Hard to beleive that all you 'little ones' have all grown up! CONGRATS to your cousins' graduating! Those are great schools! Big families rock!! So true how you slowly drift apart but you are still so connected at the core. What a blast to get together with everyone!! I love this! 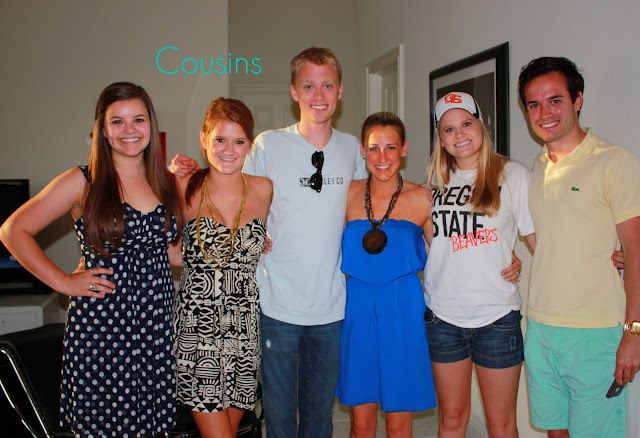 I have a ton of cousins too, a lot of whom I don't get to see as much anymore. I really cherish events like these where we get to catch up. I know this must have been a lot of fun. Congrats to your cousins! Great pictures...congrats to your cousins graduating!! Gotta love those big families! I'm the second of ten... and the next one down from me just graduated from HS this year. So much fun! 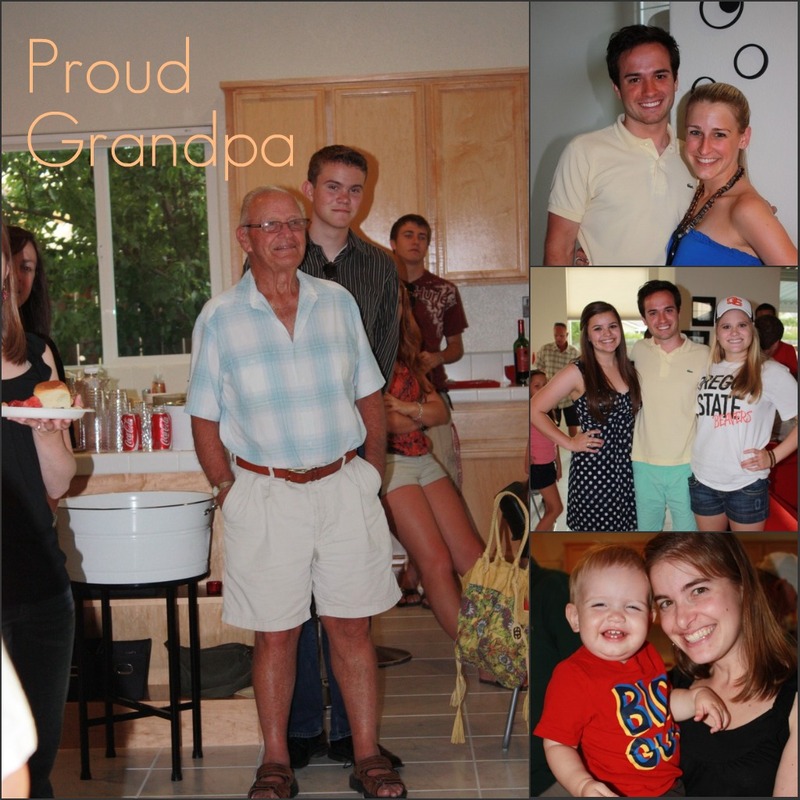 Great pictures, and it's so fun to have such a large, warm family! Congrats to your cousins! Looks like you had a wonderful time - big families are nice. Mine is quite large but we are scattered everywhere! We have a great time though when we do get together. Yay! Go Kendall & go BEAVS! :) I loved growing up in a big family too! Nothing better than cousins! So, I just discovered your blog, love it, and I couldn't help but notice the Beavs hat before I even read this post! Are you from Oregon originally?! My husband and I are both OSU alum's, and we own a place in Corvallis. You must live in the Bay Area now, my husband plays football for Oakland so he spends half a year there. SUCH a small world, I LOVE finding bloggers who live close by, so fun! So, I just discovered your blog, love it, but I couldn't help but notice scrolling through this page (before I could even read the post) the Beav's hat! Are you from Oregon originally?! My husband and I are both OSU alum's and own a place in Corvallis. Also, it looks like you live in the Bay Area now. My husband plays football for Oakland, so he spends half a year there. Such a small world, I LOVE finding bloggers who live nearby, so fun!